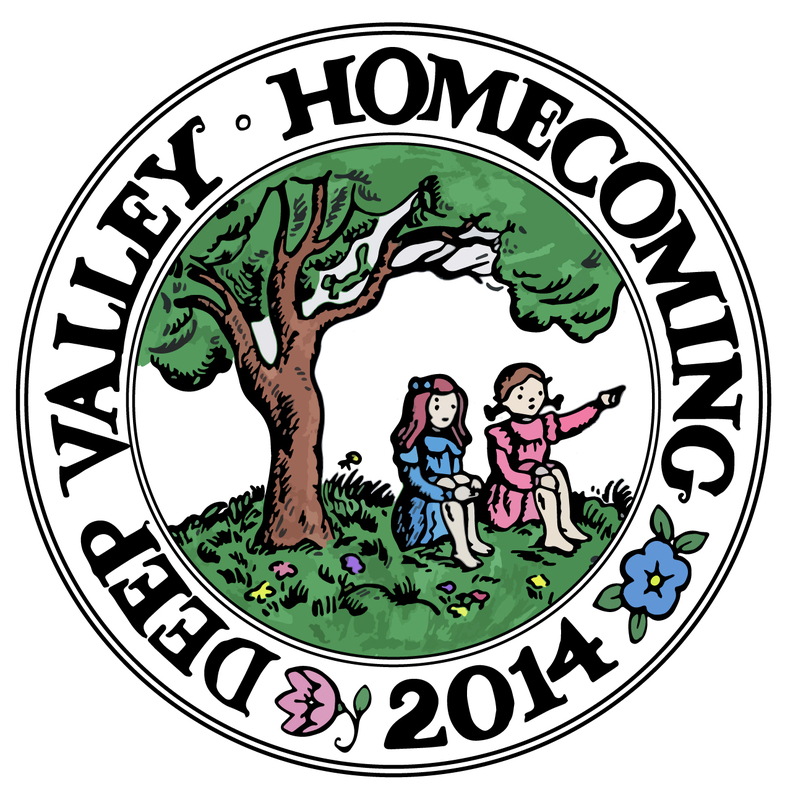 Presenting the new logo for the Deep Valley Homecoming (June 28 – July 2, 2014) featuring a Lois Lenski illustration from Betsy-Tacy. Her depiction of Betsy and Tacy overlooking Deep Valley is used for the center of the logo. Author-illustrator, Cheryl Harness designed the logo’s border. Souvenirs with the logo design will soon be announced. Make plans to come to Deep Valley and step into life in Mankato at the turn of the 20th century. 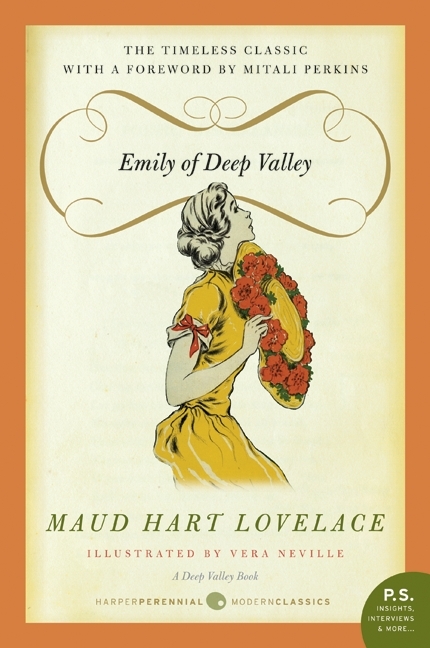 We have a lot of exciting events planned to celebrate Maud Hart Lovelace and the Betsy-Tacy books. To download a registration form and the full five-day schedule, visit www.betsy-tacysociety.org/events. …After school ended, Julia kept on reciting: “For I’m to be Queen o’ the May, mother, I’m to be Queen o’ the May!” She recited it at the school picnic; she recited it for the High Fly Whist Club to which her father and mother belonged; she recited it for the Masons and the Eastern Stars; she recited it for all the neighbors. Julia was a great reciter. Betsy asked her mother to tell her about May queens. 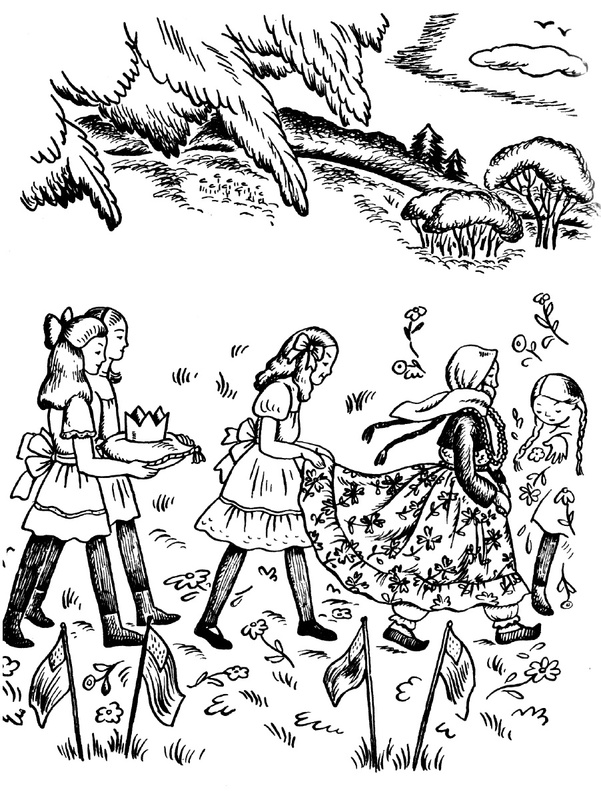 – Excerpts and Lenski illustrations from Betsy and Tacy Go Over the Big Hill. The recitation Julia gave at the School Entertainment and kept reciting over and over afterward is called The May Queen. 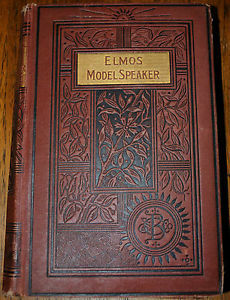 The May Queen, which can be found in Elmo’s Model Speaker for Platform, School and Home. This book, compiled by Thomas W. Handford was published January 1, 1881 and is described as “providing programs for twelve evening entertainments, selections suitable for juvenile gatherings, brief responses to encores, speeches for weddings, presentations, farewells and welcomes, an invaluable book for clubs, lyceums and young people’s associations”.